This one is for the foodies among you - last week whilst wondering whether I was going to actually freeze to death whilst in the grips of a horrendous fever I received an email from the One Star House Party. The concept sounds great and I've been meaning to post this since seeing that email but... this flu that is doing the rounds at the moment is nasty. One Star House Party are a team of chefs who, led by British chef James Sharman, are spending 20 months, travelling to 20 different countries, building 20 very different pop-up restaurants out of what they discover on their travels. The chefs have worked in some of the best restaurants in the world, including Noma in Copenhagen, The Ledbury in London, each month they land in a new city and therefore have a whole new set of ingredients to play with, combing them with the techniques they have learned through their culinary careers they create a 7 course tasting menu at the end of that month. February sees the band of culinary crusaders visit the Sultanate, and they've been exploring and continue to explore around Oman as they look for inspiration and ingredients to include in their Muscat pop-up restaurant which is taking place on the beach at the Al Bustan Palace between Friday 17th Feb and Thursday 23rd Feb. Each night from 7pm they are offering a specially created 7 course tasting menu to showcase the Omani ingredients they have discovered. Each course is delivered personally by the chef and the story of how the dish was inspired is told too, which I think is a nice touch. Not only do they make the food from local ingredients, they also literally make the restaurant too - it is a pop-up restaurant after all. I'm interested to see what they make the tables and chairs from and where on the beach they situate the restaurant, but it should be fun. 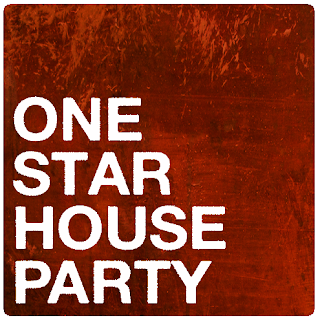 To learn more about One Star House Party you can check their facebook page, instagram and twitter. Did you go??? Went last night and it was fabulous!